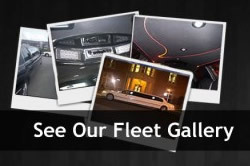 We understand the importance of hiring a limousine service that provides safety, reliability and professionalism. Crystal Limo will provide you and your party with transportation to your reception or catering hall. Afterwards, we can take you to your after prom destination. Our limousines are fully loaded with fiber optics, neon lights, strobe lights, laser lights, and CD/DVD players. Let us provide you with reliability and professional service on your night out. With Crystal, you’ll always be travelling in style and comfort. We require a 1-month advance booking, and a 50% deposit. To ensure a safe and reliable transportation, book with Crystal Limo by completing the form below or by contacting us directly. Late Cancellation: Two-week advance cancellation results in 15% refund of deposit. To read our full Terms & Conditions, click here.